← Summer’s Not Over Yet! As summer beings to fade to fall, September and October are arguably the best two months to visit Santa Fe. The summer crowds have thinned and the city is infused in the earthy scent of freshly harvested green chile roasting on the streets. You can sample this famous New Mexico staple in inventive dishes served by local restaurants or buy a bag to take home and use in your own kitchen. The aspen leaves begin to turn a brilliant shade of gold, towards the end of September, and the days are crisp with autumn air, yet still bathed by the warm sun. Fall is fabulous in the Southern Rockies! Did you know The Rocky Mountain range begins-or-ends just outside of Santa Fe, as the mountain chain stretches from just south of the city into northern Canada? With the aspens turning their most glorious color and the mountains ablaze in a luscious gold, the air is clear, brisk and inviting of many outdoor activities. You’ll find numerous places in Santa Fe as the perfect spot for fall leaf viewing. There are driving tours and walks, hiking and biking and horseback riding, and chairlift rides all within close proximity to the city’s historic downtown. Following an afternoon spent hiking mountain trails or shopping the city’s boutiques and galleries, you can find yourself unwinding in a luxurious spa, enjoying a glass of wine and dining in world-class restaurants. As the week’s pass and October arrives, you’ll be greeted with artist studio tours in towns and villages surrounding Santa Fe. Artists are eager to discuss their work and you’ll undoubtedly find a unique piece to take home or give as a gift during the upcoming holiday season. This celebration is America’s oldest community event. 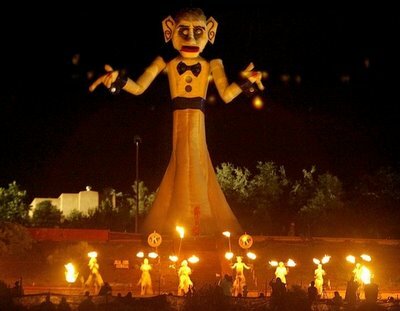 Including parades, music, dancing, feasting and the Burning of Zozobra (a 49-foot-tall marionette); a time-honored tradition that pre-dates Burning Man and provides a way for viewers to symbolically release any gloom from the year. This year’s Burning of Zozobra will be on Friday August 29th. 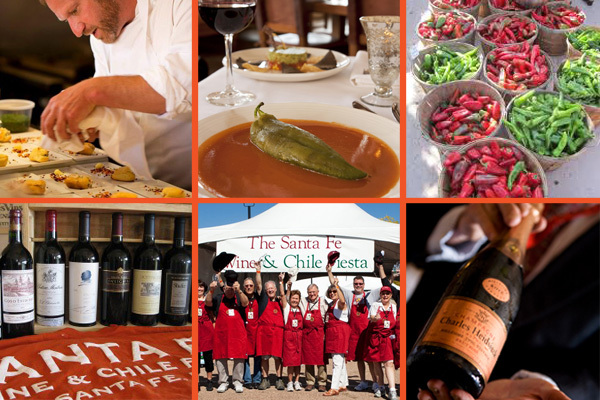 A celebration of food and wine is the theme for the annual Santa Fe Wine & Chile Fiesta, which brings foodies to town from around the country to savor wine dinners, cooking demonstrations and other events showcasing world wines paired with New Mexico ingredients creatively prepared by talented Santa Fe chefs. It is one event, you will not want to miss! 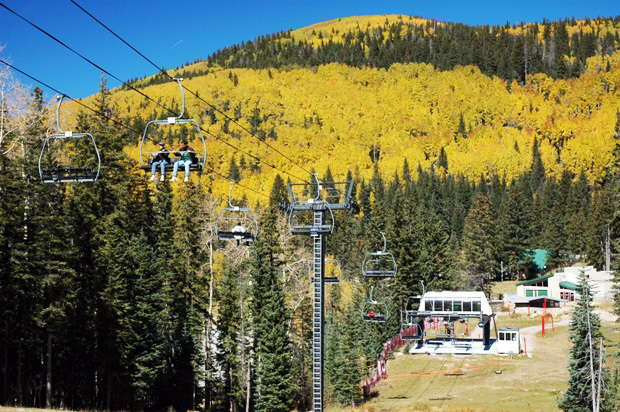 The operating dates and hours for the chairlift rides will be posted on the Ski Santa Fe website. Information is also available at Ski Santa Fe, 505-983-9155. This entry was posted in Uncategorized and tagged Albuquerque Balloon Festival, Albuquerque International Balloon Festival, Balloon Festival in New Mexico, Burning of Zozobra, Chairlift rides in Santa Fe, Fall in New Mexico, Fall in Santa Fe, House Rental in Santa Fe, Santa Fe, santa fe fiesta, Santa Fe Vacation, Santa Fe Vacation Rentals, Santa Fe Wine & Chile Fiesta, Scenic Chairlift Rides in Santa Fe, ski santa fe, Visit Santa Fe, Wine & Chile Fiesta. Bookmark the permalink.